Materials and tools for successful therapy. 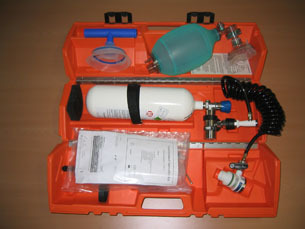 It's contents were chosen in close co-operation with sea rescue services. In general, it allows an effective ventilation and cardiac massage under extreme environmental conditions. 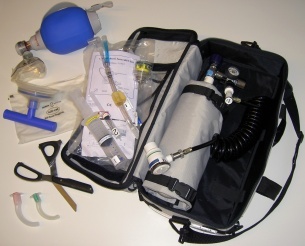 The components of the kit offer a maximum pump performance by cardiac massage if a thoracic suction plunger for alternating cardiac massage (ACD-CPR) is applied additionally. 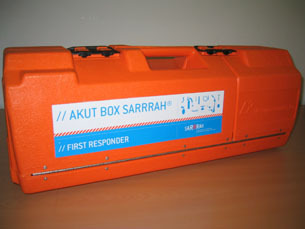 In collaboration with the University of Lübeck; the University Medical Center Schleswig-Holstein (UKSH); the German Maritime Rescue Services and the German Institute for Naval Medicine the Acute Box SARRRAH® First Responder were developed - a tool that the survival possibilities of an accident strongly hypothermia people improved in the sea rescue.